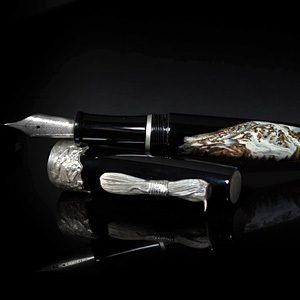 Iconic American Peaks Collection by Summit Pen Co.
Only 1,000 rollerball pens and 250 fountain pens will be made for the Summit Pen Company Mt. Rainier Limited Edition pens. Each pen bears a summit marker on the pen cap with the Mt. 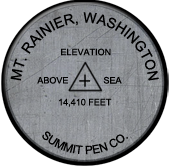 Rainier name and elevation, a custom clip with a rope in butterfly coil and ice axe, a mountain relief around the bottom of the pen cap, chasing representing moutain peaks on the barrel as well as an engraving of the Limited Edition numbering and pen name. 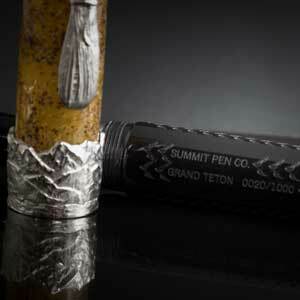 Only 1,000 rollerball pens and 250 fountain pens will be made for the Summit Pen Company Grand Teton Limited Edition pens. 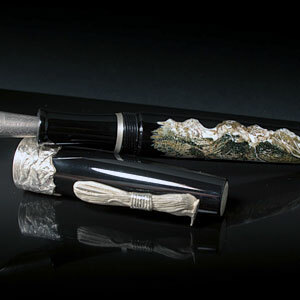 Each pen bears a summit marker on the pen cap with the Grand Teton name and elevation, a custom clip with a rope in butterfly coil and ice axe, a mountain relief around the bottom of the pen cap, chasing representing moutain peaks on the barrel as well as an engraving of the Limited Edition numbering and pen name. 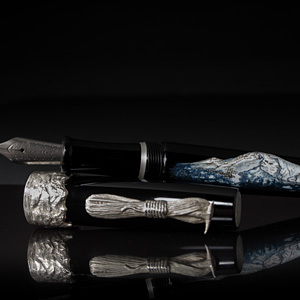 Only 1,000 rollerball pens and 250 fountain pens will be made for the Summit Pen Company Mt. Hood Limited Edition pens. 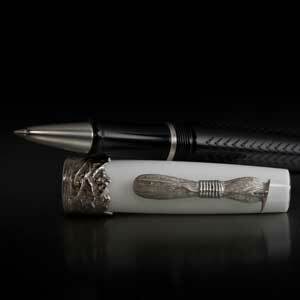 Each pen bears a summit marker on the pen cap with the Mt. 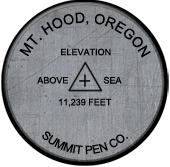 Hood name and elevation, a custom clip with a rope in butterfly coil and ice axe, a mountain relief around the bottom of the pen cap, chasing representing moutain peaks on the barrel as well as an engraving of the Limited Edition numbering and pen name. 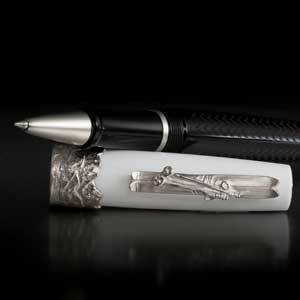 Only 2,500 rollerball pens will be made for the Summit Pen Company Après Ski Limited Edition pens. 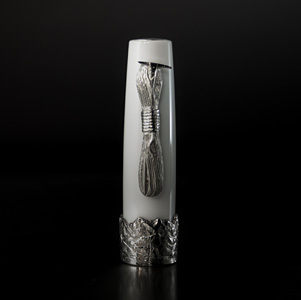 Each pen bears a mountain peak emblem on top of the cop, a custom clip with retro skis and poles, a mountain relief around the bottom of the pen cap, chasing representing moutain peaks on the barrel as well as an engraving of the Limited Edition numbering and pen name.